You are standing in the skyway on the fourth floor of Gaviidae that leads to the "State Fair" food court, looking down at Marquette Avenue and 6th Street. The Wells Fargo Tower is on the right. 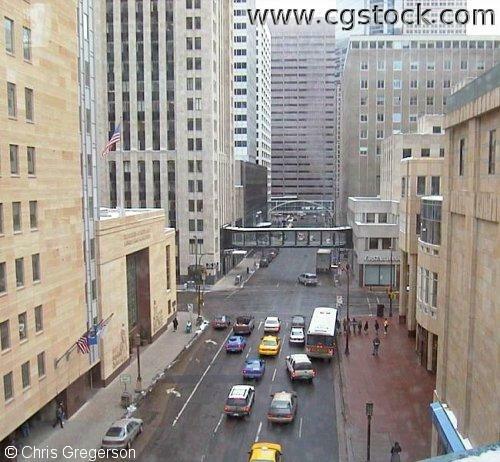 The Hennepin County Government Center straddles 6th Street a few blocks down. The Rand Tower is on the left corner across Marquette.